Happy Friday, everyone! I can’t believe that March is almost over. But I’m so excited that Spring is finally here! I for one, am so ready for the warmer weather. One of my favourite things is being able to curl up outside with a nice book and I can’t wait for some new books to read. This month I’m starting something brand new! Since I’m a teacher, I love being able to recommend books to younger readers. I also love easy and light reads for the spring and summer. Because of this, I want to branch out into reading more middle grade releases. My new monthly feature will highlight new and upcoming middle grade releases. These lists will be perfect for anyone who loves middle grade reads, as well as teachers and parents! Without further rambling, let’s take a look at some of the newest middle grade books to release in April 2019! If home is where the heart is, what would happen if you lost it? Compassion and humour infuse the story of a family caught in financial crisis and a girl struggling to form her own identity. It’s the first day of summer and Rachel’s thirteenth birthday. She can’t wait to head to the lake with her best friend, Micah! But as summer unfolds, every day seems to get more complicated. Her “fun” new job taking care of the neighbours’ farm animals quickly becomes a challenge, whether she’s being pecked by chickens or having to dodge a charging pig at feeding time. At home, her parents are more worried about money than usual, and their arguments over bills intensify. Fortunately, Rachel can count on Micah to help her cope with all the stress. But Micah seems to want their relationship to go beyond friendship, and though Rachel almost wishes for that, too, she can’t force herself to feel “that way” about him. In fact, she isn’t sure she can feel that way about any boy — or what that means. Daniel Misumi has just moved to a new house. It’s big and old and far away from his friends and his life before. AND it’s haunted . . . or is it? Add some buttermelon, juice boxes, a lightsaber and a common enemy and you’ve got a new friendship in the making! This charming, funny story is brought to life by Kass Reich’s warm and adorable illustrations. There’s never been a bat this cute — readers will be rooting for Megabat and Daniel from page one! For fans of The Book Scavenger comes a smart and funny middle grade mystery with built-in logic puzzles that readers can solve. Twelve-year-old painter Esther can’t wait to attend Camp Vermeer, the most prestigious art camp around. But when her stepdad accidentally drives up the wrong mountain, she lands at Camp Archimedes—a math camp! Determined to prove herself to the other campers, she tackles a brain-teaser that’s supposed to be impossible—and solves it in a single day. But not everyone is happy about it . . . someone wants her out of camp at any cost, and starts leaving cryptic, threatening notes all over the camp’s grounds. Esther doesn’t know who to trust—will she solve this riddle before it’s too late? Trevor Noah shares his story of growing up in South Africa, with a black South African mother and a white European father at a time when it was against the law for a mixed-race child like him to exist. But he did exist–and from the beginning, the often-misbehaved Trevor used his smarts and humor to navigate a harsh life under a racist government. A heartfelt contemporary middle grade novel, perfect for fans of The Thing About Jellyfish and Fish in a Tree, about a girl who is sent to live with her aunt and must try to save their failing pie shop. Wherever the sharks led, Lucy Everhart’s marine-biologist mother was sure to follow. In fact, she was on a boat far off the coast of Massachusetts, preparing to swim with a Great White, when she died suddenly. Lucy was eight. Since then Lucy and her father have done OK—thanks in large part to her best friend, Fred, and a few close friends and neighbors. But June of her twelfth summer brings more than the end of school and a heat wave to sleepy Rockport. On one steamy day, the tide brings a Great White—and then another tragedy, cutting short a friendship everyone insists was “meaningful” but no one can tell Lucy what it all meant. To survive the fresh wave of grief, Lucy must grab the line that connects her depressed father, a stubborn fisherman, and a curious old widower to her mother’s unfinished research. If Lucy can find a way to help this unlikely quartet follow the sharks her mother loved, she’ll finally be able to look beyond what she’s lost and toward what’s left to be discovered. For years, Miranda has stared at postcards of August Isle, Florida. The town her mother spent her summers as a girl. The town Miranda has always ached to visit. She just never wanted it to happen this way. When she arrives on the Isle, alone and uncertain, to spend the summer with her mother’s best friend, “Aunt” Clare, Miranda finds a town even more perfect than the one she saw in the postcards. And she finds a friend of her own in Sammy, Aunt Clare’s daughter. But there is more to August Isle than its bright streets and sandy beaches, and soon Miranda is tangled in a web of mysteries. Noises coming from a haunted lighthouse. An old seafarer with something to hide. A name reaching out from her mother’s shadowy past. As she closes in on answers, Miranda must reckon with the biggest question of all: Is she brave enough to face the truth she might uncover? 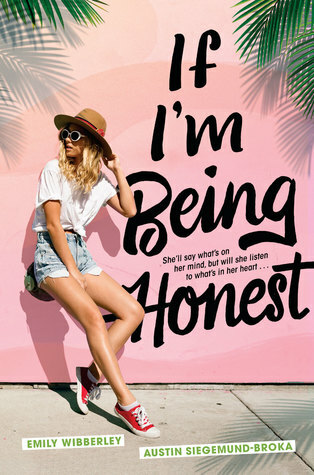 Critically acclaimed author Ali Standish delivers another mesmerizing and moving story about the secrets we keep, the lies we tell, and the courage it takes to love each other anyway. The third title in the nationally bestselling series. The Riverton Ice Chips know a thing or two about time travel. With a bit of magic and their beloved hometown rink, teammates Lucas, Edge and Swift have gone back in time to meet Gordie Howe and Sidney Crosby when the hockey greats were just kids. Along the way, the Chips have learned about perseverance, sportsmanship and a true love of the game. But when a local tournament requires the Chips to split up to help form a district-wide all-girls hockey team, goalie Swift refuses to join forces with Chips rival Beatrice Blitz. The only thing left to do is to time travel once again. Pretty soon the Chips find themselves smack in the middle of the Calgary Olympics, with a determined young player known as Chicken in desperate need of some new teammates. Lucas, Swift and Swift’s sister Sadie have just the spirit Chicken’s team needs, and with a lesson from their dedicated new friend—who’ll go on to become one of Canada’s best-loved Olympic hockey players, Hayley Wickenheiser—they just might change their minds about the game back home. The Ice Chips and the Invisible Puck is the third title in this beloved and bestselling series by acclaimed authors Roy MacGregor and Kerry MacGregor and illustrator Kim Smith, featuring a vibrant and diverse cast of characters and inspiring hockey greats. The Library of Ever is an instant classic for middle grade readers and booklovers everywhere–an adventure across time and space, as a young girl becomes a warrior for the forces of knowledge. With her parents off traveling the globe, Lenora is bored, bored, bored–until she discovers a secret doorway into the ultimate library. Mazelike and reality-bending, the library contains all the universe’s wisdom. Every book ever written, and every fact ever known, can be found within its walls. And Lenora becomes its newly appointed Fourth Assistant Apprentice Librarian. Mya Parsons runs her school’s social justice club with her best friend, Cleo. Her lifelong desire is to work for the United Nations and change the world, and then bask in all the ensuing adulation. Her more immediate desire is to get a phone, preferably one like Cleo’s, with a leopard-print case to match. When her distracted dad and her long-distance mom (temporarily in Myanmar taking care of Mya’s grandmother) both say no, no way, and possibly never, Mya launches a campaign to prove herself reliable and deserving. She advertises her babysitting services, takes on more responsibility around the house, and attempts to supervise her sister’s skateboarding lessons. Her efforts leave her ego bruised and the kitchen slightly scorched. She’s no closer to touch-screen victory, let alone the Nobel Peace Prize she deserves. But all that changes after an accident leaves Mya to take charge–an experience which helps her realize how much she’s grown, with or without access to proper communications. The fourth book in the fully illustrated, globe-trotting middle grade fantasy-adventure series about mythical creatures and their cultures of origin, from the Newbery Honor-winning author of The Inquisitor’s Tale. The Chupacabras of the Río Grande is co-written with David Bowles, author of the Pura Belpré Honor-winning book, The Smoking Mirror! What are some of your favourite Middle Grade reads? Do you want to read any of these books? Would you recommend these to friends who are parents or teachers? Previous PostIt's April 🌷 40 Must Read New Releases! Middle Grade books have the best covers! I love that they adapted Born a Crime in to Middle Grade.